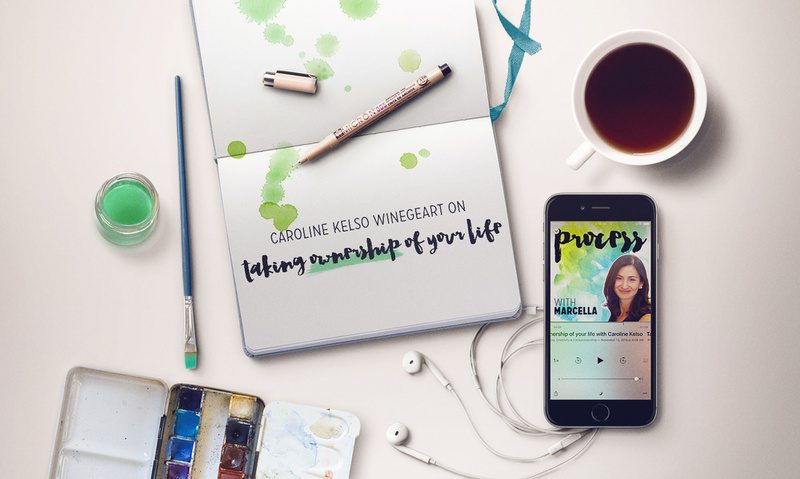 Caroline Kelso is my guest on this episode #016 of Process! Caroline started off in the advertising industry but quickly decided that wasn’t for her and eventually ended up trying her hand at freelancing and entrepreneurship. A few years down the road, Caroline’s work is helping soulful creatives become their most vibrant selves through handlettering, teaching online courses, writing and more. But this isn’t your typical “left my job, fell in love with my own work" story. I’m going to ask Caroline about what life is like AFTER realizing you're able to make a living on your own. Caroline’s work now is well-established, so how does she keep pushing the boundaries to enable creative people like us? "You ultimately are the person in control of the path your life is going to take ... Things don't happen to me, I happen to them." - Misfit Con, where A.J. Leon shared "This is not a practice life." Thanks for listening! And a huge thanks to Caroline for joining me on this episode #016 of Process.